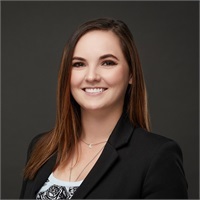 Kelsey joined Lopez Wealth Management Group in August of 2017 after receiving her bachelor’s Degree in marketing and Management from Radford University. Kelsey began working at the Abingdon, VA location and has since been relocated to our Roanoke, VA location. When Kelsey is not in the office you can find her in the garage working on restoration projects with her dad or out on the trails. She also enjoys riding motorcycles with her friends, kayaking, painting, and traveling.